Data is one of the most important components of modern bike safety. Collected by interest groups and local government agencies, this information is organized and displayed to paint a grand, detailed picture of what cycling is really like in a city or town. Crash Data – Boston began properly gathering and analyzing cyclist crash data in 2010 from Boston Police and EMS. In 2013, the city released its first crash report. The information collected in reported crashes involving cyclists from 2010-2012 included the cause of crash (cyclist ran red light, motorist failed to yield, etc. ), the location, and if the cyclist was wearing a helmet. The city and its cycling advocacy organization, Boston Bikes, used the data to shape their programs and actions for 2013. For instance, as 22% of reported crashes were caused by “dooring”, city officials began encouraging taxi companies to post signs in their vehicles alerting passengers to check for cyclists before exiting. Traffic Data – New innovations make it easier than ever for cities to collect data on bike traffic. Arlington, VA installed a new “bikeometer” last week to count the number of cyclists that pass through one of the busiest intersections in the city. The device displays a real-time count of daily cyclist traffic along with monthly and yearly totals. Commuter Surveys – Many cities across the country survey residents and commuters to find out how they travel, where they go most, and what they’d like to see for improvements. Calgary, AB recently conducted a survey of residents and found that residents were particularly concerned with the combined lack of bike infrastructure and amount of bike traffic in downtown. The city council’s transportation department is taking quick action and planning on creating a network of two-way cycletracks for a pilot program as early as next summer. The city even believes that area bicycle traffic will double in the first year. Calgary’s plan is a great model for how cities can save money by going straight to the source, the public, to create the most effective infrastructure first. Behind every great cycling community is a highly productive team of organizers, constantly working to provide innovative resources and programs that ensure everyone is riding safer. The 2013 recipient of the CCG Foundation Bike Safety Fellowship, the Washington Area Bicyclist Association (WABA), performs this type of on-the-ground work in the greater Washington DC area. Motorist Awareness: WABA works with public transportation and bus fleets to increase drivers’ awareness of cyclists on the road. While educating all motorists can seem like a daunting task, focusing on these drivers is especially important. Buses and cyclists often share lanes, and those buses will also need to cross bike lanes to pick up customers. Educator Resources: Teaching the next generation of cyclists safe and proper habits creates a safer future for everyone. WABA provides tools to parents, teachers, and community leaders for every aspect of personal bike safety, including fitting helmets, administering safe riding courses, and teaching bicycle law. Bike Share Member Safety Courses: This year WABA and Bethesda Transportation Solutions are teaming up to make cycling even more accessible in Washington DC. Members of Capital Bikeshare (the Hubway or CitiBike of Washington) will be able to sign up for a free “Intro to City Cycling” course where participants will learn about bike infrastructure, coexisting with other vehicles on the road, and some best practices for urban riding. 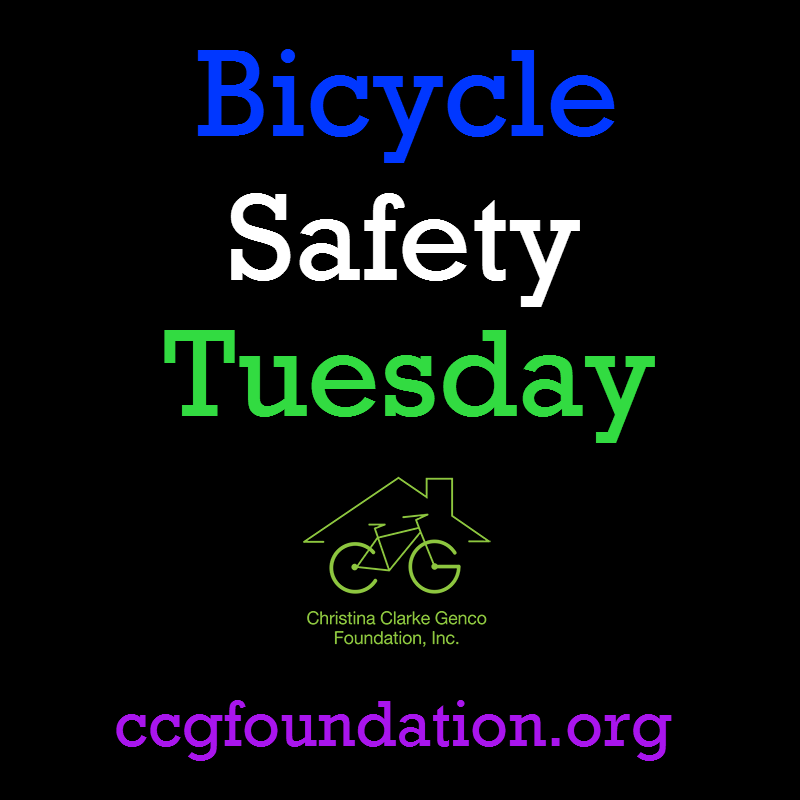 Bike Safety Tuesday: Does Your Helmet Fit? Size It Right: A helmet should sit snug on the head. It shouldn’t slide around or move back and forth. If it’s a little too big, you might be able to add some additional padding. If it’s a little too small, you could remove some of the interior pads. You should also be able to see the front of helmet above your brow when you look up toward your forehead. The finger test is also a great way to ensure a safe fit. Strap It Tight: Straps should fit in two ways. First, check to make sure your ears sit inside the “V” made by the straps on each side. If the V is too big or too small, adjust the straps accordingly so they’re snug but comfy. Second, buckle the helmet and open your mouth as wide as you can – like you’re at the dentist. The connected strap should be snug under your chin and your helmet should be pulling tight on your head. If it’s not, shorten up each strap so the buckle lightly touches your chin when your mouth is closed. Wear It Always: Whether you’re just going down the street to the store or to the end of the driveway, your helmet can only keep you safe when it’s on your head. Most bicycle accidents happen at low speeds and are caused by road debris, railroad tracks, or other non-automobile hazards. Your helmet is most effective in these instances, so make sure you don’t pedal without it! 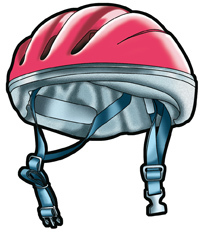 For a great visual example of how to fit a helmet on yourself or your child, take a look at this chart from SafeKids.org. 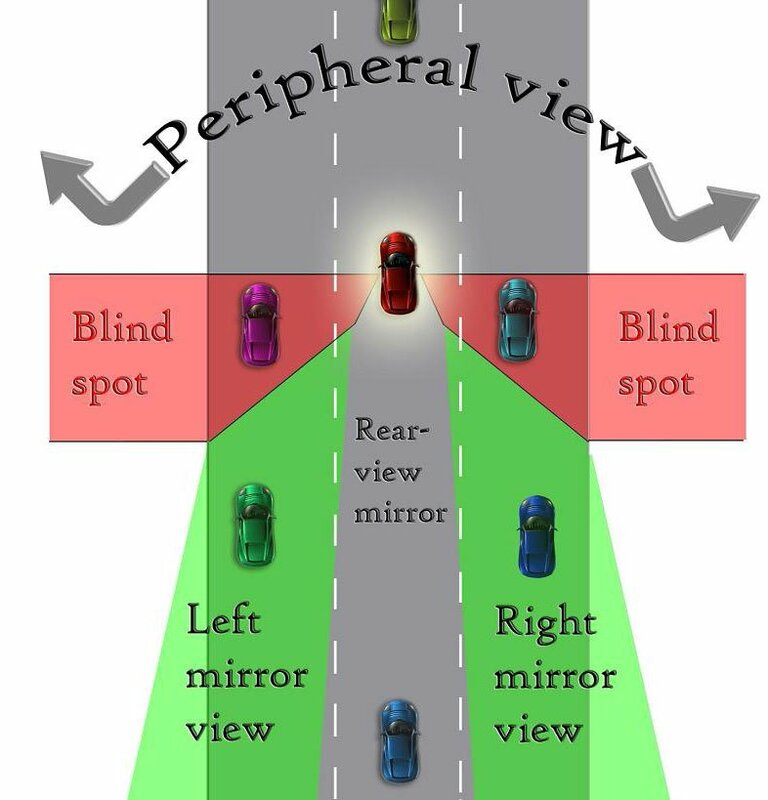 Stay Out of Blind Spots: Cars and trucks have big blind spots, sometimes making it impossible for drivers to see cyclists next to or behind them. When you’re behind or next to a vehicle, check to make sure you can make eye contact with the driver in their mirrors or through the passenger window. If you can’t see them, they can’t see you! Be Reflective: There’s no such thing as being too visible! Light up the night by putting on one of our safety triangles and wear a high-visibility vest, create designs with reflective tape on your bike, helmet, and backpack, and clip reflectors onto your bike. Drivers won’t be able to not see you when you shine from every angle! Order one of our wearable safety triangles or get it for free when you register to ride with us this Mothers Day. Stay Bright: Use headlights and taillights starting 30 minutes before sundown until 30 minutes after sunrise on clear days and wear your lights at all times in the rain or snow. Select the blinking or flashing settings to best catch drivers’ eyes. Consider wearing lights on your helmet in addition to on your bike.